Too often, observers inside and outside the Gulf take at face value what is essentially a convenient, shorthand way for making sense of a multidimensional region. Certainly, the Shiite-Sunni split in Islam matters. But sectarian identity has frequently coexisted with, or been subsumed by, other affinities: national, regional, tribal, ethnic, class, generational, and urban versus rural. Often what seems to be a religious or doctrinal difference is more accurately a byproduct of political repression, provincial marginalization, or uneven access to economic resources. The local context matters enormously in this regard: Sectarian dynamics in Bahrain, for instance, are vastly different from those in Lebanon or Syria. Analysis of religious differences can only take us so far in understanding the roots of sectarianism. To determine whether and how sectarianism will evolve into a real security threat we need to focus more on local institutional factors and the role of elites in invoking Shiite-Sunni identities. The regional environment – Saudi-Iranian rivalry and the Syria war – has certainly heightened sectarian tensions in the Gulf. So too has the proliferation of social media, which has lent a real time immediacy to regional conflicts. But these factors are ultimately enablers, rather than root causes. If institutions and political life in the Gulf were marked by greater inclusivity and pluralism, then sectarian identities would be less politicized and less malign. Social media and regional conflicts would have less of a mobilizing effect on Gulf citizens. Finally, two key variables will shape and perhaps temper the future of Shiite-Sunni tensions in the Gulf: generational change – within royal families and Shiite opposition networks – and evolving splits within Sunni Islamism, specifically conflict between Brotherhood and Salafi currents. Arab commentators and scholars have devoted extensive effort to diagnosing the roots of sectarianism, in the Gulf and across the region. Overwhelmingly these commentators and scholars assign agency to Iran’s nefarious meddling in Arab politics and society. Some voices cast the blame for the regional rise in sectarian temperature on “misguided” Salafi clerics and their prolific use of social media. Still others maintain that the Middle East’s sectarian split is essentially a U.S. project to divide and weaken the Islamic world. Opinion pieces in the U.S. press that forecast a redrawing of the regional map along ethnic and sectarian lines – predicting, for instance, the creation of a new state in eastern Saudi Arabia and an independent “Shiastan,” in southern Iraq – add grist to such suspicions. What has been missing is a focus on the role of institutions and the agency of political elites in inflaming sectarian passions. A number of recent Western studies have begun to address these shortcomings, but there is still room for more sustained exploration. The dearth of inclusive, participatory structures; discrimination in key sectors like education, clerical establishments, and the security services; the absence of civil society; and uneven economic development are the real culprits of sectarianism. In particular, the rise in tensions is the result of the failure of reform promises that were made at the turn of the millennium that left a younger generation of Shiite youth deeply embittered and frustrated. Young activists tell me that being shut out of the social compact in the Gulf, deprived access to economic and political capital has instilled in them a sense of “otherness” – and made them susceptible to sectarian mobilization. In tandem, at the height of the Iraq War, Gulf regimes, particularly Bahrain but also Saudi Arabia, increasingly viewed Shiite reform activity as a security threat. This strategy reached its apogee in the wake of the 2011 Arab uprisings, when Gulf media and Sunni clerics attempted to tar what were initially broad-based demands for democracy as narrowly Shiite in character and inspired by Iran. The net effect of this strategy was to create fissures within the reform movement by exacerbating Shiite-Sunni identities – a policy that implicitly highlighted the ruling families as arbiters over a fractious and divided citizenry. With regard to the notion of a sectarian cold war between Saudi Arabia and Iran, the rivalry is informed less by sectarianism and more by other factors. The two states embody radically different models of government – each laying claim to Islamic legitimacy – and two very different visions of regional order. Iran’s system has enshrined the role of religious authorities in political life and given people a partial say in governance through elections. The Saudi ruling family has effectively depoliticized its clerics and continues to abhor the principle of democratic elections. The question of U.S. power in the region is also at the heart of the struggle: Iran sees a Middle East free from U.S. military influence whereas Saudi Arabia historically has required some sort of external balancer to serve as a check against Iran – and Iraq. The two sides have also jostled for patronage of historically pan-Arab “portfolios” such as the Palestinian cause: the al-Saud see Iran’s involvement in this issue as tremendously threatening to its regional and even domestic legitimacy. Iran has generally tried to downplay sectarianism in its media and the way it conceptualizes its involvement in the region. Saudi Arabia too has framed its policies of terms of Arab and pan-Islamic legitimacy. But regardless of intent, the meddling of the two powers in weak and fragmented states has ended up fueling a dangerous form of identity politics. The most expedient local partners for both sides are often those with a profoundly sectarian outlook. That said, Saudi Arabia and Iran are capable of dialing back and tempering sectarianism. We saw this play out in Lebanon in the aftermath of the 2006 war. We are seeing it again now in Bahrain, where Iran (and Hezbollah) have lowered the tenor of their criticism of Saudi policies. If the bilateral rivalry were eased toward a more durable detente, it might enable the rise to power of more progressive factions within the royal establishments of Saudi Arabia and Bahrain who would have more leeway to enact reforms that would address Shiite grievances. The explosion of social media has amplified the salience of sectarian identities in the Gulf. This, too, is a recent development that helps explain the rise in sectarianism over the past 15 years. Twitter, Facebook, and YouTube have created a vast echo chamber for sectarian strife to reverberate from one corner of the region to another. Social media is a real time, instantaneous theater where audiences do not just observe but participate in ongoing conflicts in the region. The most extreme, strident purveyors of sectarianism are given disproportionate weight on social media. A good illustration of this is the episodic calls by fringe Shiite voices for secession, militancy, or greater support from Iran. Such plans, particularly the notion of new Shiite state encompassing eastern Saudi Arabia, Bahrain, and southern Iraq, enjoy little support given the unique national histories of Shiite communities in each state, the religious and intellectual genealogies of their elites, and the power of familial and tribal bonds that militate against such a union. Ironically, if there is one force that could shift the map it is the Sunni side. For all their accusations that the Shiite are beholden to a foreign power, it has been Bahrain’s Sunni Islamists who have been most willing to sacrifice the tiny island’s sovereignty on the alter of sectarian solidarity. Since 2012, many of these Islamists have demonstrated for greater political and military union with Bahrain’s Sunni patron, the Kingdom of Saudi Arabia. Gulf regimes have pursued a Janus-faced policy on policing this toxic media discourse. At one level, sectarianism in the media has a certain utility: It is a reminder of the indispensability of monarchy as the “glue” binds society together. Yet, Gulf regimes are also fearful of such vitriol getting out of control and fueling a dangerous strain of Salafi extremism that could escape their control. Already, there are signs of this happening. The “sectarianization” of the Syria conflict – due to Syrian President Bashar al-Assad’s policies and the intervention of outside actors like the Gulf Arab states and Iran – has rippled across the Gulf. The sectarian dimension of Salafi-jihadism’s appeal is well-established; it is evident in the flow of jihadists and money to Syria from Saudi Arabia, Bahrain, and Kuwait and in the exhortations of anti-Shiite clerics urging support for Syria’s Salafi rebels. There is little danger that sectarian spillover from Syria will escalate into violent conflict across the Gulf. But Gulf funding and volunteers in the Syria conflict are creating new strains of al Qaeda-ism that could eventually threaten Gulf regimes and U.S. interests. Gulf rulers who wish to avoid tempting fate would do well to abandon the strategy of harnessing sectarianism for political gain and work toward genuine inclusion. The demonization of the Alawite regime in Syria and its allies by Gulf Sunni clerics has had a blowback effect on local Shiites. Shiite reformists who at one time lauded the cooperation between Sunni activists elsewhere in the country now speak of these relations being frayed by mutual suspicion and distrust. Currently, we do not see the Shiites of the Gulf flocking to fight in Syria or providing funding to the same extent as Sunnis. How and why this is the case cannot be explained with reference to religious movements, doctrinal differences, or Saudi-Iranian rivalry. Instead, it highlights, once again, the importance of local histories, institutional frameworks, and personalities. It also highlights Iran’s differentiated approach to Shiite dissent across the Arab world and lack of clandestine lethal involvement in Gulf affairs. Iran is not backing Gulf Shiite activity to the extent that its notorious Quds Force is supporting Shiite militants in Iraq, Syria, and Lebanon. 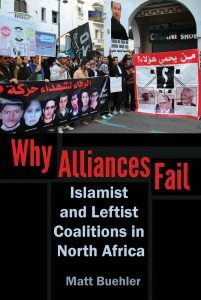 There may be scattered and episodic contacts between activists and elements of the Iranian government or Hezbollah. As is the case elsewhere in the region, Iran may have sleeper cells waiting to strike the oil infrastructure of Saudi Arabia’s Eastern Province or the U.S. Fifth Fleet. But by no stretch of the imagination does this imply that Iran is directing or orchestrating the post-2011 protests in the Gulf or that its support is crucial to their continuation. Subsequent posters reply that Bahrain’s Shiites do not have the military experience the Shiites in Iraq, Syria, Iran, and Lebanon have, and that the Shiites in those countries are sufficient to fulfill the duty. Others point to the numerous statements from Gulf Shiite clerics – from across the political and doctrinal spectrum – which have counseled against such adventurism. “Our authorities are bent on preventing bloodshed,” notes one reply. U.S. and Western interests may eventually be threatened if Shiite opposition activity takes a more radical, extremist turn. Already, there are activists from the February 14 Youth Movement in Bahrain associating the U.S. Fifth Fleet with the al-Khalifa’s repression. Whether and how this nascent anti-Americanism devolves into a more serious threat depends on how the United States is perceived as a neutral broker. It may also hinge on generational shifts – both within the opposition’s ranks and within the royals’ ranks. Generational fissures within opposition movements are a further division that may militate against Shiite-Sunni conflict becoming the source of future instability in the Gulf. Many Shiite youth I spoke with, particularly in Saudi Arabia’s Eastern Province, described themselves as post-ideological, post-sectarian and even post-clerical. They embraced Grand Ayatollah Ali al-Sistani as their marja precisely because they stayed out of their affairs. “Sistani is a secular marja [marja almani],” one of them quipped. On the regimes’ side, we may eventually see a similar generational impact on sectarianism: the rise to power of a younger generation of royals and even Sunni clerics for whom the Iranian Revolution is less of a formative memory and sectarian dogma has less usefulness. Yet, these positive trends may be offset by the growing strength of Salafism and the new strain of sectarianism being bred by the Syria conflict. On this note, intra-Sunni fissures – namely, the Muslim Brotherhood versus Salafism – may eventually come to overshadow the Shiite-Sunni split in the Gulf. More than Shiism, the activist strand of Islamism promoted by the Brotherhood has a very real ability to threaten the Saudi-backed quietist current of Salafism using its own Sunni vocabulary, with a far greater mobilizing potential on a wider audience. Frederic M. Wehrey is a senior associate in the Middle East Program at the Carnegie Endowment for International Peace. These include: Frederic Wehrey, Sectarian Politics in the Gulf: From the Iraq War to the Arab Uprisings (Columbia University Press, 2013); Toby Matthieson, Sectarian Gulf: Saudi Arabia, Bahrain and the Arab Spring that Wasn’t (Stanford University Press, 2013); Lawrence Potter, ed., Sectarian Politics in the Persian Gulf (Hurst, 2014); Brigette Marchal, The Dynamics of Sunni-Shia Relationships: Doctrine, Transnationalism, Intellectuals and the Media (Hurst, 2012); Fanar Haddad, Sectarianism in Iraq: Antagonistic Visions of Unity, (Columbia/Hurst, 2011).